The Samsung Galaxy S8 is, hands down, the fastest, best-looking phone you can buy, Android or otherwise. Its design is a meticulous marvel, curved glass and shrinking top and bottom bezels allowing for tremendous amounts of screen space. But it’s also very pricey and comes with a few downsides. Is it for you? Read on. The S8’s OLED screen beats anything else on the market. The Pixel XL, which was previously the best-looking phone around, thanks to a bright OLED screen, can’t match it in size — the smaller S8 has a larger screen than the Pixel XL. It does this by shrinking down the bezels at the top and bottom of the phone to next to nothing, while using curved glass to get rid of any bezel on the side. And Samsung’s OLED screen just looks better than the Pixel’s screen as well. Samsung says it’s the first “Mobile HDR Premium” phone available. HDR, or high dynamic range, is the latest buzzword in video displays, and generally means that a screen is able to show off a greater range of colors and brightness at the same time. In practice, this meant that when I played the same movie on the Pixel XL and S8+, side by side, the S8+ was noticeably better at showing off high-contrast scenes, such as a scene with a bright light shining through a dark room. Night scenes were easier to see, and in general, colors just had more pop. The difference was even more stark when playing a movie on an iPhone 7 Plus, which still uses old-school LCD screens. One thing to note: By default, the S8 screen is actually set to 1080p resolution — you’ll need to jump into the settings to put the phone into its full high-resolution glory, which means a slight performance hit on the phone. Bottom line: There isn’t a better phone screen available — and there may not be a better one until Samsung releases its next Galaxy phone. Samsung simply seems to have a lock on creating OLED screens that are immediately and obviously of a higher quality than the competition’s. The actual phone itself feels very good in hand, but the curved front and back glass also made me feel distinctly nervous while using it on the subway or a sidewalk without a case. If you use it one-handed, you need to keep a slightly tighter grip on the phone, even though it’s lighter than its competitors. And, at least on the S8+ I tested, that tall screen meant it was a bit of a reach for me to get to the pull-down screen at the top of the phone, where you control pretty much everything in Android. You can at least rest a little easier about drops around the sink and/or toilet — the phone is rated as water- and dust-resistant, meaning it can be dunked in about 5 feet of water for 30 minutes without damage. Samsung’s Android skin, TouchWiz, has calmed down significantly from earlier days, when it seemed so anxious to put some daylight between itself and vanilla Android OS that it created a much worse overall experience than just a clean install of Android. Thankfully, those days are over — though, it’s still not clear if Samsung will continue to lag behind in Android updates. The phone ships with Android 7.0, but the latest version of Android is 7.1.2 — which could potentially be a security concern, especially if you’re downloading apps from anywhere other than Google Play or the Galaxy Apps store. There’s still some overlap between Samsung and Google’s offerings (for instance, Samsung has its own web browser you can use, instead of Chrome), but for the most part, it’s a very intuitive phone with some features that Google’s own Pixel phones would be wise to steal (the ability to switch between battery-saver and high-performance mode on the fly, for instance). There are still moments, however, where the tension between Samsung obviously wanting to have its own OS and needing to be on Android become clear, such as its app search leading you to a page that shows you what other Galaxy users like — which then takes you to a Google Play page to actually buy it. It’s Samsung inserting itself in the process without much benefit, except to remind you that you’re using a Samsung phone. Is pretty good! In quick tests against the Pixel and the iPhone 7 Plus, the S8+’s 12-megapixel rear camera seemed to take better pictures in low light; otherwise, the difference in picture quality between the three was negligible — the major differences in smartphone cameras mainly come into play from the software and processing. At this point, barring some revolution in how camera optics work, once you’re paying more than $700 for a phone, you’re likely going to get a very good camera that will take very good pictures. Still, to Samsung’s credit, you can play around with the settings a bit more in its camera app, compared to the Pixel or iPhone, and its native photo-editing app is more full-featured than Google or Apple’s as well. First off, to address the first question you probably have about the new Samsung phone: No, it hasn’t caught fire. The S8 comes with a 3,000 mAh battery, and the S8+ comes with a 3,500 mAh battery. Both are decent-size batteries, but by no means astoundingly large — the S8+’s battery is actually smaller than last year’s S7 Edge 3,700 mAh battery. It seems likely that Samsung was extremely cautious about battery size this time around, willing to keep a smaller battery in place in exchange for a phone less likely to go boom in the night. I found that an S8+ could run for 24 hours with regular use (i.e., texting, some web browsing, playing the occasional game or podcast). Streaming a Netflix movie at full brightness with every video option turned up way high (you can play with a surprising amount of settings for the Samsung’s screen, including how high you want the resolution to go) would drain about 15 percent of the battery per hour, meaning an impressive six hours of video playtime. In short, while it’s likely Samsung could have put more battery inside the phone, what’s in there will likely be more than enough to get you through the day. What does sound noticeably better are the included earbuds, a $99 pair of AKGs made especially for the S8. If you’re really into headphones, you probably have a nicer pair — but these have a good sound, a cloth cord so they don’t tangle as easily, and are a step above anything else included in premium smartphones. (It also means, as should be noted, that the S8 has a 3.5-mm audio jack, so you don’t have to go wireless if you don’t want to.) The external speaker is fine — it can get pretty loud — but sounds pretty tinny. It’ll do for a speaker phone call, but you aren’t gonna use it to play music. The S8 is the first phone to use Bluetooth 5.0, which should theoretically be cool some day. There aren’t any consumer items out there currently using this standard, which is supposed to reduce a lot of the headaches associated with Bluetooth pairing and extend the range, so for now it’s simply nice to have. That said, I did find that the S8 paired easily with the Bluetooth 4.1 and 4.2 wireless headphones — much easier than my Pixel, though not as seamlessly as what Apple can achieve with its W1 chip found in Beats and AirPods. A nice bonus: the ability to pair two sets of wireless headphones to the same phone. So if you’re stuck on a long flight watching a movie on your phone with someone, or just want to listen to the same music, you’re set. It, uh, exists? I’ve yet to use a phone voice assistant that I really like, except for setting the occasional timer or every now and then responding to a text. Bixby, Samsung’s attempt to create its own Siri or Google Assistant, doesn’t change this, and is so far, at best, a weird icon that pops up. Bixby is supposed to do four things, only two of which I was able to try out. It creates a smart feed of news and personalized information, including reminders you can set to be triggered by time or place. It has something called Bixby Vision, which allows for you to use the camera for visual search. It will, at some point, allow for voice control of your phone — but doesn’t currently (Samsung says the feature is coming in spring). And it is also supposed to allow for control of smart-home objects in your house, but I wasn’t able to try this out. The smart feed, Bixby Home, is currently a pretty unimpressive glomming together of stuff: your upcoming meetings and reminders about who you normally call at that time of day, a random GIF from Giphy, trending topics from Facebook, a Flipboard News Feed, and, uh, themes for your phone for sale from Samsung. Google and Apple do most of this, but better. Bixby Vision allows for visual search, which means you can either tap in the Pinterest visual search to show you things that sorta look like what you’re looking at, or point it at things with clearly legible text — like a wine bottle or a book — and get information on it and ways you can buy it. It can also scan QR codes, which is a slick, new technology that everyone loves using. The true bummer about the whole thing is, there’s a physical button to bring up Bixby — a button that you can’t reprogram, which rests directly beneath the volume controls. I would quickly nix Bixby to directly open the phone’s camera, but you currently can’t do that. C’est la Samsung. Anybody who’s limping along on a Galaxy S5 or S6 should make the leap. You’re already in the Samsung ecosystem, and the improvements in performance and screen size will make themselves immediately known. It’s a harder call if you have the S7 or S7 Edge — both are holding up fine, and I’d recommend staying put unless you absolutely need to have the latest and greatest Samsung. If you’re in the market for a premium phone, you basically have four choices right now: the iPhone 7, the Google Pixel, the LG G6, and the Samsung S8. The iPhone 7 and Pixel are both due for refreshes later this year, so buying them now while they’re still at full price seems silly. That leaves the LG G6 and the Galaxy S8, and here’s where the price factor comes into play. The G6 is a lot like the S8 — it has smaller top and bottom bezels for a lot more screen, it takes good camera shots (though struggles in lowlight situations), and it uses a pretty unobtrusive skin of Android. It’s slightly outmatched by the S8 in most categories — slightly smaller screen, slightly slower processor, an older LCD screen versus a newer OLED screen — but you can pick one up for $650. The cheapest you can get an S8 for is $720 through Verizon (it’s $750 through all other carriers). The S8+ is $850. 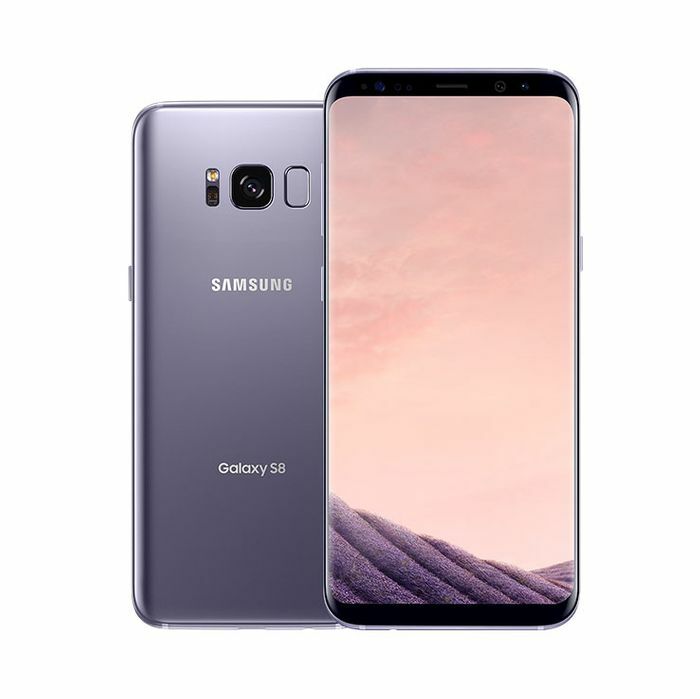 I’d also recommend the S8 over the S8+ for most buyers. While I was only able to test the S8+ for an extended period, the S8 felt better in my hand when I was able to try the two out side by side; still provides more screen space than an iPhone 7 Plus; and is, for all intents and purposes, the exact same phone as the S8+ with a slightly smaller battery and screen, but for $100 less. The S8 is pricey, but you’re getting a beautiful phone that performs incredibly well, and will likely guard you against future phone envy when other phones start losing their bezels. The Galaxy is the world’s second most popular smartphone, and despite Samsung’s disastrous fall last year, the S8 will continue its reign untouched.